A common question that many people ask but not sure quite how to do it. Countless webinars, advertising, coaches and social media sites have an overwhelming amount of suggestions and ways for you to increase your visibility, but there’s so much out there – where do you start?! 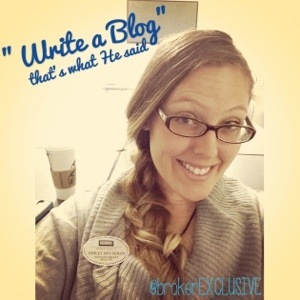 Yes, write a blog. It’s that simple. No one loves a good blog (and its keywords embedded in them) quite like Google. What is the first thing you do when you are in need of a new recipe or location of a certain place you’d like to go to? How about when you need a phone number or want to know the population of how many polar bears there are in the North Pole? You Google it. With that being said, I am sitting in the conference room. Same seat as I was in an hour ago when Fred drilled us on the importance of “blogs, blogs, blogs”… So here it is, Fred, my first blog on the new website.